Present your business with more confidence, clarity and impact to increase your business profile and profit. You can exploit my track record of success in refining and defining business propositions to create weapons grade content for all your presentations and communications. Well crafted memorable content will enable your clients and prospects to cascade your presentation legacy and persuade others to take action. I offer 1 : 2 : 1 coaching (three short sessions can produce fantastic results) and group coaching that delivers competence, confidence and team building. 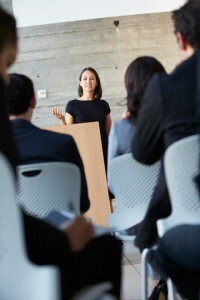 If your presentation is exceptional your audience will believe your business is exceptional! But the reverse is also true! This means that when you pitch, network, exhibit or present to market your business you need to be Competent, Confident and Compelling if you are to succeed. So work with me and be the best you can be. Call 07980 920 190 or email: Dan@DanBondPresentation.co.uk to find out how Presentation Content Development and Delivery Coaching can boost your bottom-line. As a Business Development Specialist I work with clients to refine and define business propositions to ensure absolute clarity in all communications, sales and marketing activity.